Not everyone is a fan of Spotify and other music streaming platforms such as Soundcloud, particularly musicians. Witness Taylor Swift removing her entire back catalogue recently from Spotify whilst Radiohead’s Thom Yorke proclaimed it to be “the last desperate fart of a dying corpse.” There are problems with the amount of royalties that are paid to the artists, in particular emerging musicians where payments are comparatively small and it is seen by some such as Yorke as an increasingly futile attempt by major labels to make money as actual purchases have been in decline for years. Most of the lucrative action has shifted to live shows. On the other hand from a consumer perspective I’ve found Spotify to be a really useful service. I also go on Soundcloud from time to time. There’s so much new music to discover and old favourites to become familiar with again. Plus I love making playlists. I pay a small amount to subscribe every month so I bypass the annoying ads and it makes me feel that I’m making at least some contribution to the artists. 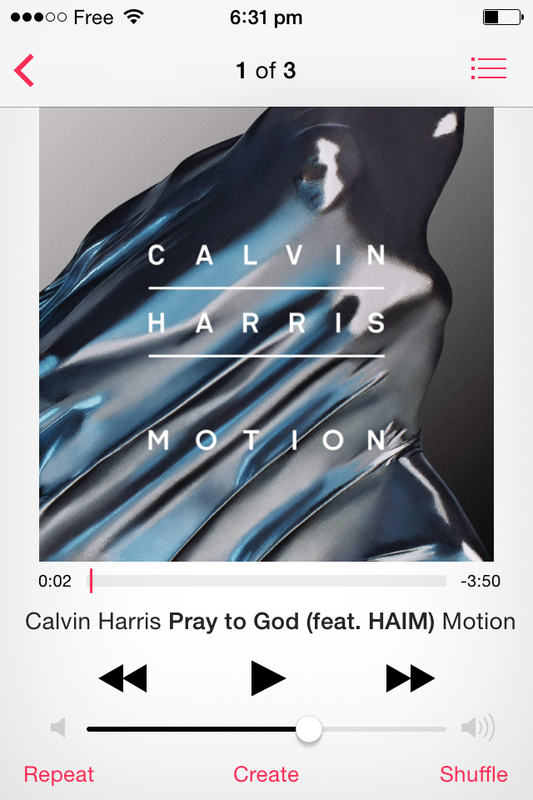 Pray to God: love the freewheeling vibe of the Haim girls and this time they’ve paired up with electronic whizz Calvin Harris who uses fairly cheesy beats but nevertheless this one’s a winner for me – an upbeat driving tune. 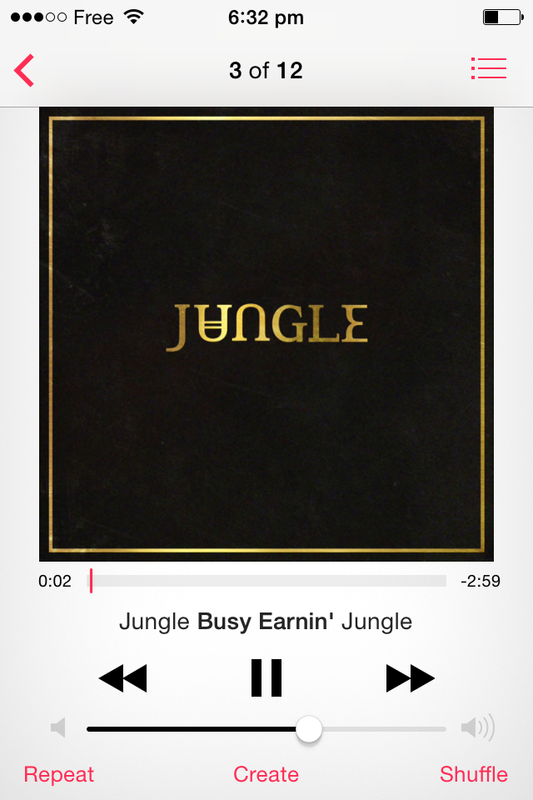 Busy Earnin by Jungle: the surprising family favourite on a recent road trip. This London collective has a funky 70’s style with a modern twist. 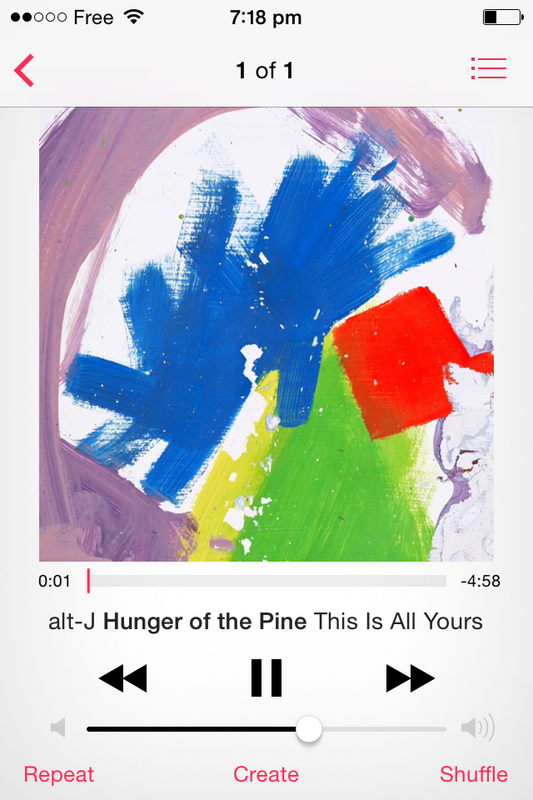 I’m still liking alt-J’s Hunger of the Pine: introspective intensity chanelling Radiohead with a Miley sample. You may not want to see the video though. It seems to involve a young man being shot with arrows. 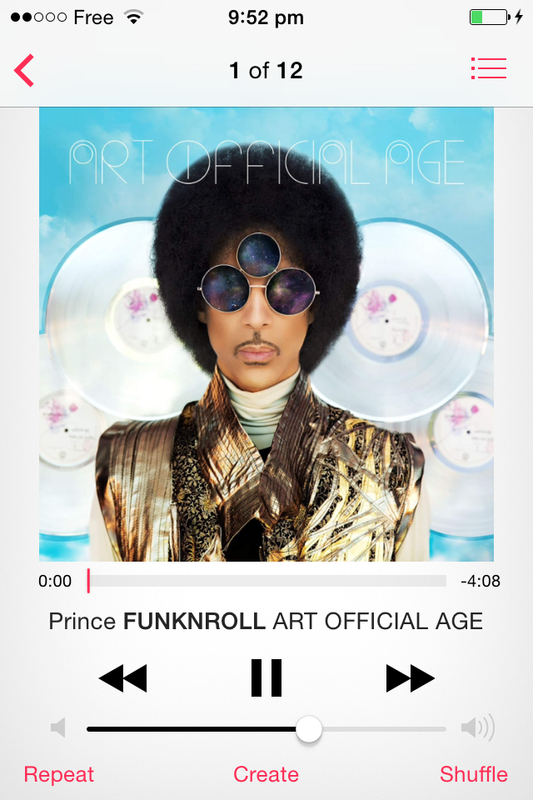 There’s a new Prince song from Art Official Age called Funk n Roll: It’s Prince back on form with a good funk work out near the end of the track. I hadn’t paid much attention to his recent releases until I discovered this album on Spotify. 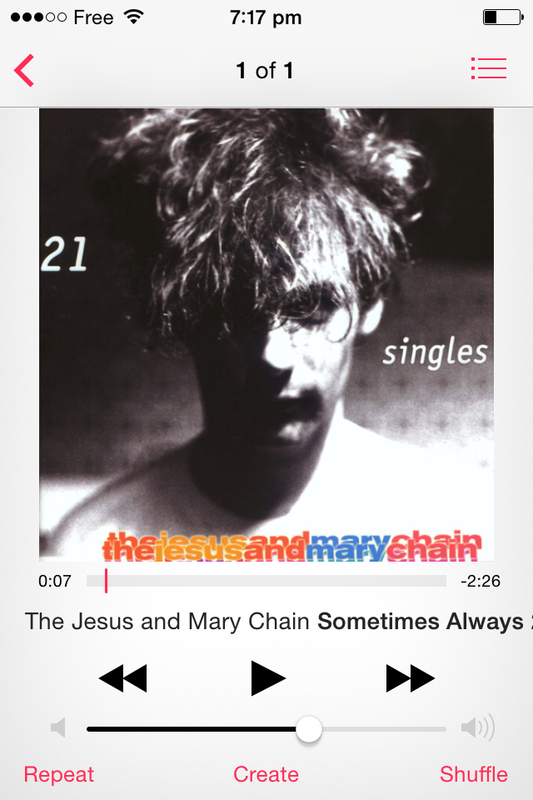 And a blast from the past that I listen to constantly and never tire of is Sometimes Always by Jesus and the Mary Chain featuring Hope Sandoval. Boy meets girl, boy leaves girl, will she take him back? Do people still listen to actual albums? Or is it all singles and playlists? 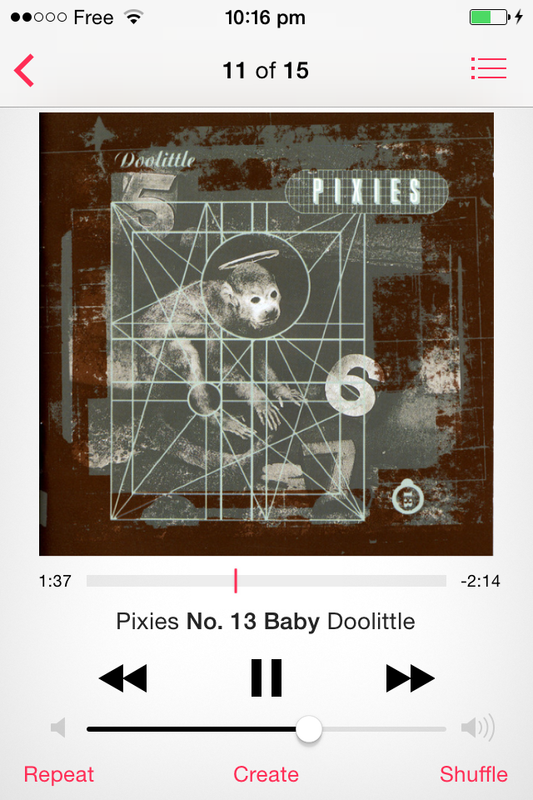 This year marks the 25 year anniversary of Doolittle by the Pixies – an influential album if ever there was one. Nirvana emulated the quiet / loud sound of the Pixies that helped to make Smells Like Teen Spirit such a brilliant track. I’ve been giving this a bit of a whirl. Still sounds out there and intense and sometimes mad. Thank god Kim Deal adds a little softness in the rough. Just thought I’d let you know that JBs are selling albums – maybe vinyl really will make a comeback? Yes albums are definitely making a comeback. I just wish I’d kept more of my old records – I really love the size of the artwork as well.